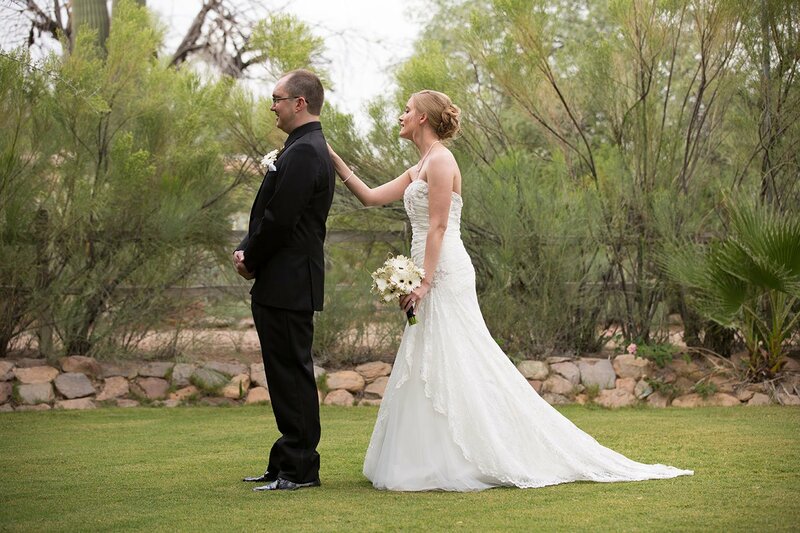 Here are some common questions we receive from couples about our wedding photography services. 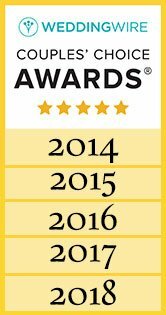 It’s hard to believe, but we’ve been in business for 20+ years. We shoot around 40-50 weddings per year. This is our full time passion and we absolutely love it! 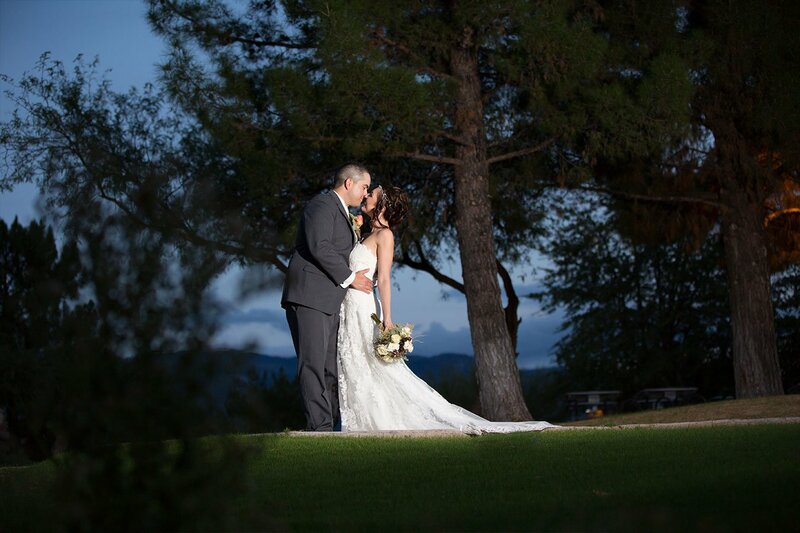 We consider ourselves photojournalists that capture love stories. Above all else, we are storytellers. We provide a good mix of candids and posed photographs that allow our couples to relive their entire wedding day at any moment for the rest of their lives and for generations to come. Our most popular wedding collection is $1999. Our rates and wedding collections aren’t listed on our site for a variety of reasons. First, rates and collections vary by location. 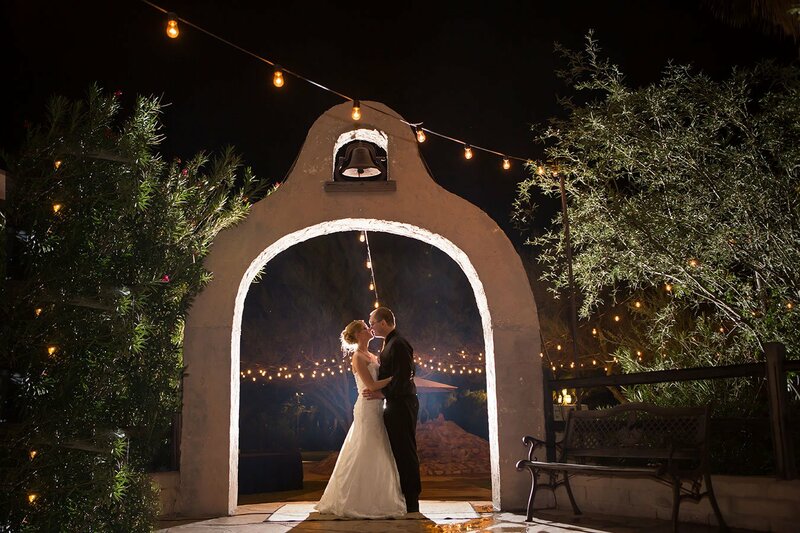 Some weddings outside of the Tucson area require travel, which would not be included in a local wedding rate. Destination weddings are priced differently. Lastly, we often create custom collections for clients, which is something that we can absolutely do for you. If you’d like to get our collection details, simply call us or drop us an email and we will send you all of our information. We respond FAST, and we look forward to chatting with you. Once we receive a signed copy of your wedding contract and a $500 retainer fee – your date is saved. Please note that email inquiries do not guarantee you to a particular date. It is not unusual for us to receive multiple inquiries for the same date. Therefore, the date remains open until a contract is signed and a retainer fee is received. ASAP. We can’t “hold” dates until we receive the contract and the retainer fee. Every weekend does book up, so if you love us, book us! Two weeks prior to your wedding date. You can always make payments along the way, and we will write receipts for you records. Our preferred payments are personal check, money order, cashier’s check or cash. We also accept credit cards, however, there is a small 3% fee added on to your invoice. YES WE DO! 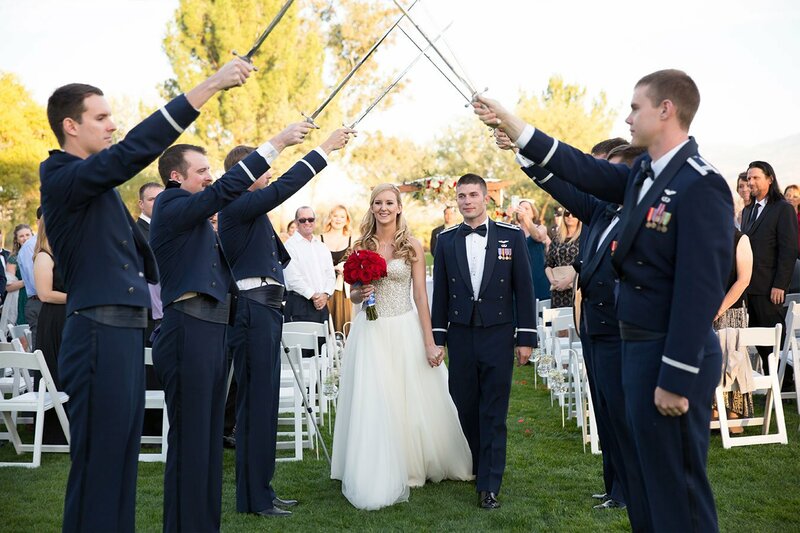 We offer a $100 off any regularly priced collection to our active or retired military brides and grooms. We photograph a lot of military couples and that is our small way of saying THANK YOU for your service. Yes, we do! Every image that you receive has been hand-edited, one at a time. When we are not out shooting, we live in the edit room perfecting your photos. How much time should we set aside on our wedding day for our portraits? We recommend anywhere from 30-45 minutes reserved for just the two of you. We want to provide multiple backgrounds and a variety of shots for you to choose from. What is a “First Look” and Do You Recommend One? 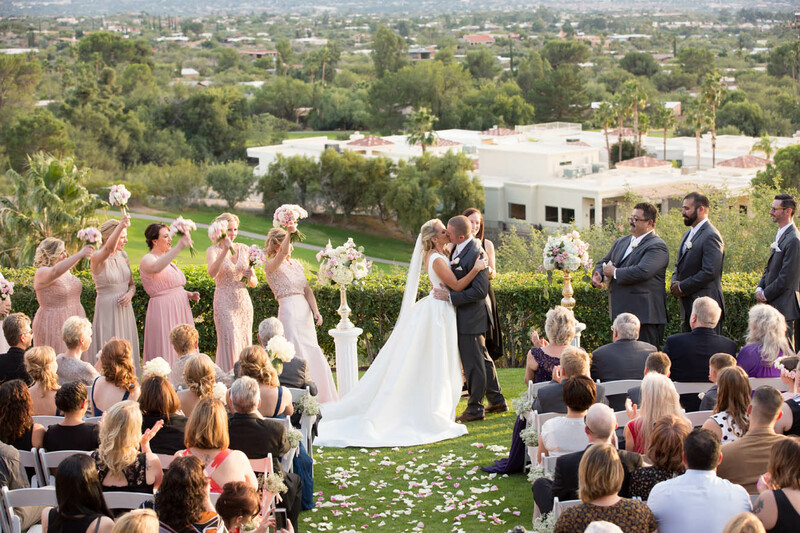 Basically, the “first look” is the moment where the couple see each other before the ceremony. It is becoming more and more popular because of all of the advantages it has. A first look frees up the wedding day and allows most of your bridal party and family photos to be completed before the ceremony. It eliminates the rush factor and even allows the the couple to attend their cocktail hour. In addition, it allows you to get more portrait time in with that soft beautiful light that everyone loves before sunset. 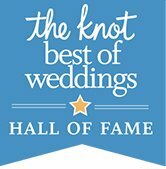 If your ceremony is late in the day we would definitely recommend a first look. 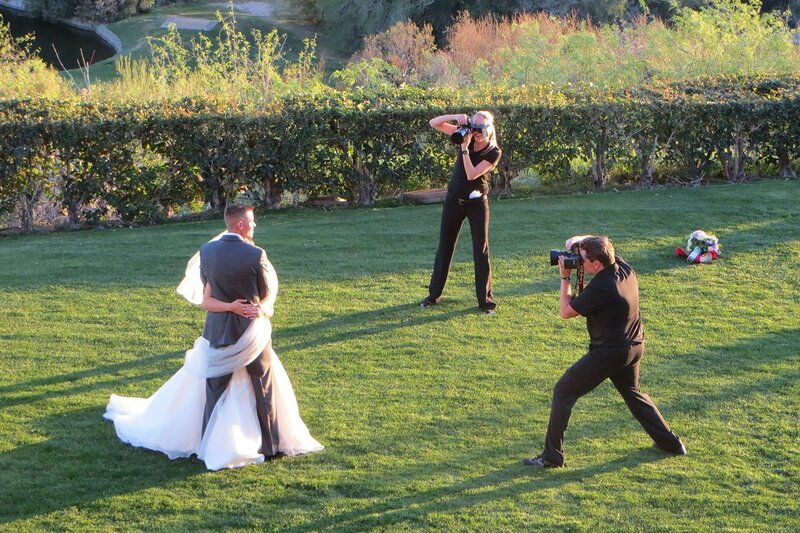 When do You Start Photographing on the Wedding Day? We arrive just as the hair and make-up artists are about to wrap and everyone is looking their best and are camera ready. 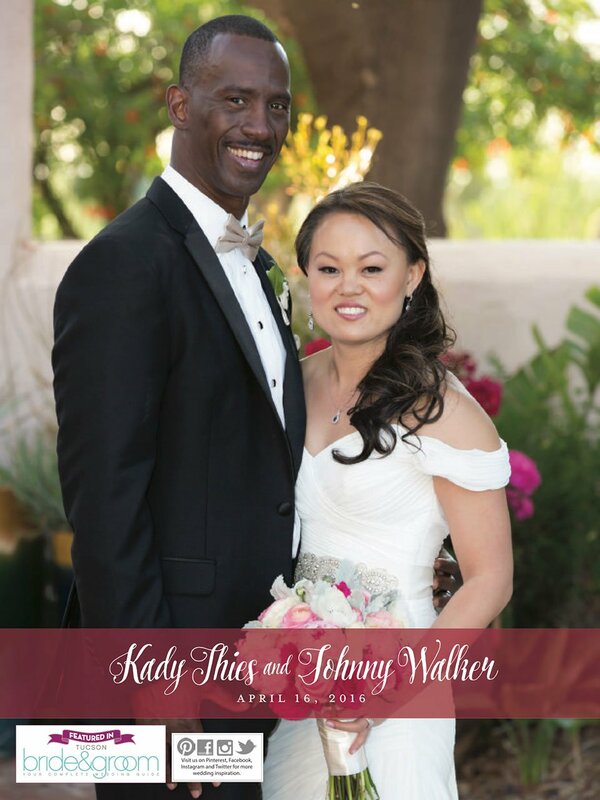 Is it Possible to Showcase our Wedding in Magazines? 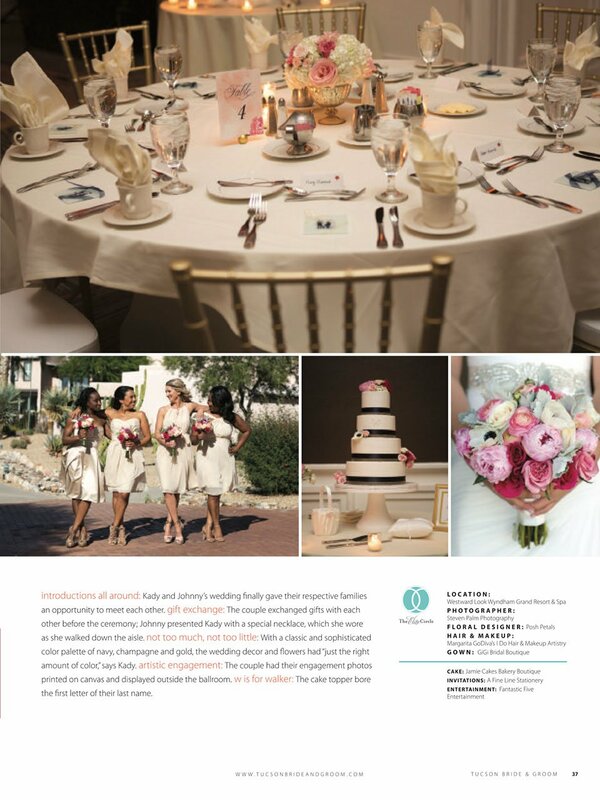 Yes, we can definitely submit your wedding to magazines and blogs. If you want really creative and spectacular photos on your wedding day, there is an easy formula: Give us time to do it and we will take care of the rest. If my event lasts longer than expected, will you stay? What is the additional charge? Of course we will stay. As coverage time comes to an end, we always give our couples the option to purchase additional hours if needed. The cost is $250/hour. We wear all black. As our coverage is very journalistic and often very active, we do not wear suits and ties while shooting. No. We give our weddings the utmost priority. Our complete focus is on you. What kind of equipment do you use? What about backup equipment? We use professional Canon photography equipment. We have backup camera bodies, and a wide assortment of different lenses. These lenses range from wide angles to telephotos, and primes to zoom lenses. Due to dark reception locations, we bring additional lighting to ensure well lit images. Yes you do. Two hot vendor meals please. Feeding us ensures we stay happy, energetic and able to keep up with you the rest of the night. Please make sure the coordinator knows we want to eat while you eat. This will ensure we will be ready to capture you walking the tables, enjoying your guests, and the rest of the night’s activities. Unless we are dead, we will be there. Just kidding! After shooting hundreds of weddings, we have never missed one. In the highly unlikely event that we are unable to photograph your wedding, we will find you a suitable replacement. 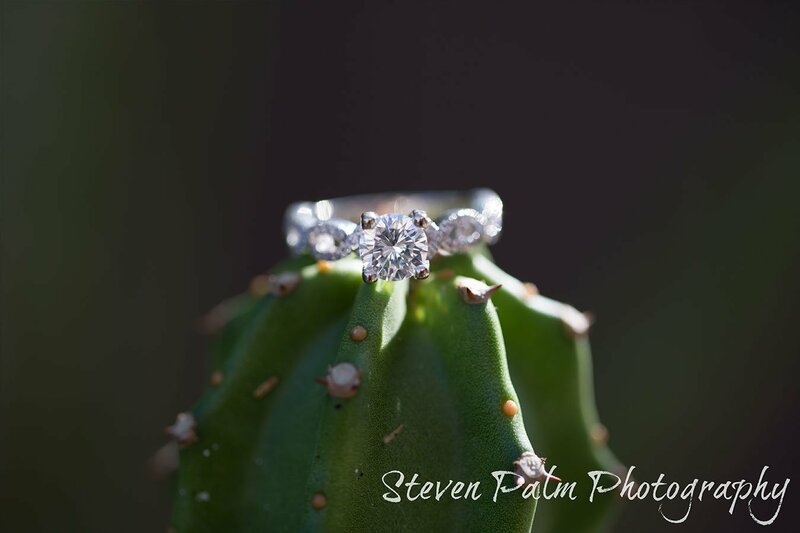 As a member of many local and national photography organizations and our strong personal connections in the Tucson Area, we have dozens of professional photographers at our fingertips. With both of us shooting, you can expect to receive 100-200 images per hour. This depends on several factors including bridal party size, family size, number of guests, etc. We do not limit the images to a certain number. If we take a photo that means something to you, you will receive it. For example, with 7 hours of coverage, you can expect anywhere from 1200-1400 images. On average, it will take 4-5 weeks to receive the flash drive with all your edited images. 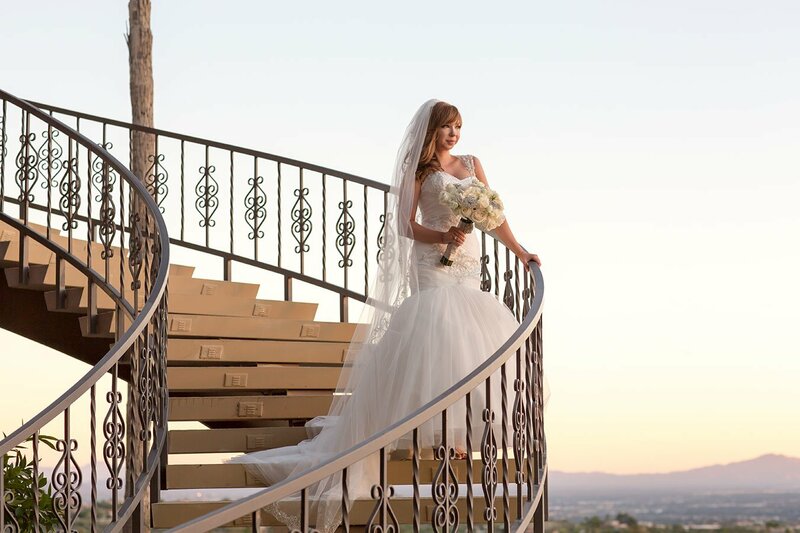 We know how excited you are, so we strive to send you a sneak peek as soon as possible after your wedding day. Do I have permission to print the photos? Yes of course! You will be given a full copyright release with permission to print images anywhere you would like. We encourage you to make copies of the release as each location will require a release. You can also print any of the images directly from your online gallery- they are the highest quality prints around and are delivered right to your doorstep. What is the online gallery you include in all your collections? The online gallery is a private, password protected section under “Client Proofs” where all your photographs will be placed online for you and your family to view. Before, we open the gallery to your friends and family, you will go through and decide which, if any, photos you would like to keep private. The gallery has a secure shopping cart where you can order prints, canvases, cards, and more. Please take a look at the online gallery by clicking here. They are not. The high-resolution files do not bear any watermarks. Can I use my photos on social media pages like Facebook and Twitter? Do you attend our rehearsal? Rehearsal dinner coverage is available if you’d like to add it to your collection otherwise, we don’t attend the rehearsals. You can rest assured that not attending the rehearsal doesn’t impact your coverage in any way. 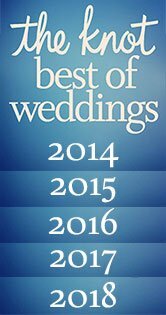 One month prior to your wedding day, you receive a planning guide from us where you can add any last minute details we should know. Of course! We work with the best companies in the industry to bring you products that show off your beautiful photos! Just contact us for more information. Definitely, but we do request that you let us know two months in advance of your wedding as it does take time for our insurance company to process and provide that document. Yes, however, we highly recommend an unplugged ceremony. This will ensure everyone is truly present during your ceremony and the photos will be that much better. We don’t allow family or friends to come along for the bridal images of the two of you because other people can be distracting. Also, we have very limited time to get the shots that you will treasure forever. 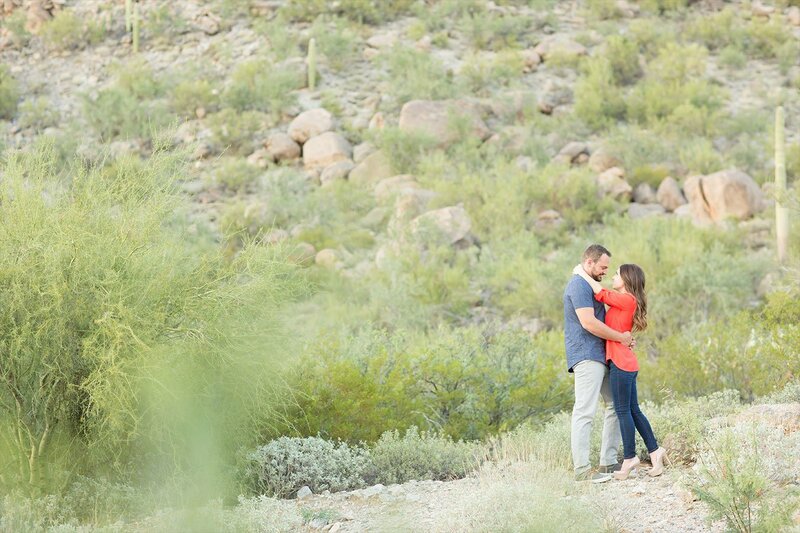 Engagement sessions are the perfect way to get comfortable in front of the camera (and us) before your wedding day. These photos can be used for save the dates, wedding invitations, and thank you cards – there are endless possibilities. Most couples bring props that reflect who they are as a couple. For example: sports, automobiles, and even furry members of the family are among the most popular choices.